Make your reservations early to insure the best fishing dates and accommodations as many dates fill long in advance! 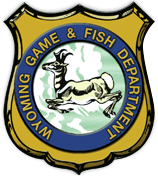 * Please purchase a Wyoming fishing license prior to scheduled trip date. I have been fishing with Reggie for twenty years. He and his wife and children treat me more like family then a client. The fishing has always been nothing less than spectacular. I will keep going back as long as the good lord allows. Reggie knows the Big Horn River like the back of his hand. It amazes me the knowledge he has when it comes to what fly to use and how to use it. Top rate guide and first rate guy. Sarg G. Co. When it comes to knowing a river, Reggie's got it!! I always have a great time when fishing with him. Don't know that I've ever met a nicer guy. Only fished with him once, but felt like I knew him my whole life. What a great trip. Big fish and a lot of them. I've had the most amazing days of fishing in my life while fishing the Big Horn River with Reggie Treese. He goes way above and beyond to make sure you have a great fishing experience. Bighorn River Wyoming © 2014.